The new Opel Agila was created with the idea to accompany you with minimum care and maximum comfort and flexibility. The key to achieve this is the surprisingly spacious interior. The rear seat could be folded with one move which free up a big trunk space with slat floor. The back of the rear seat is divided in ratio 60:40 allowing more cargo- passengers’ combinations and possibilities. The trunk has a volume of up to 1250 liters. The seat next to the driver could be folded to free up some more space. Opel Agila offer a wide variety of additional equipment, which impresses with creative and well thought over decisions with care to every detail. 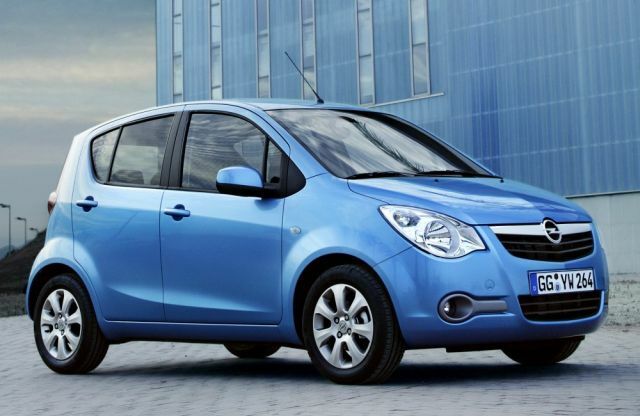 Opel Agila has full range of measurements for passive and active safety. On first place the high position of the seats gives not only good view but also it allows you to see earlier and better eventual danger. The beauty is built arround the modern and strengthened passengers’ cabin. All variations are offered with airbag for the driver and ABS for the brakes. The front safety belts are with adjustable hight, for all rear seats there are 3 points safety belts. The last but not the least all versions of Opel Agila are equipped with unique system of Opel for releasing the pedals in case of a hit (PRS).